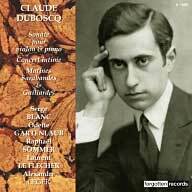 French musician, graduated in La Schola Cantorum under the direction of Vincent d' Indy, Claude Duboscq was strongly influenced by Debussy. He was also an admirer, among his contemporaries, of Erik Satie, Gabriel Fauré and Maurice Ravel. 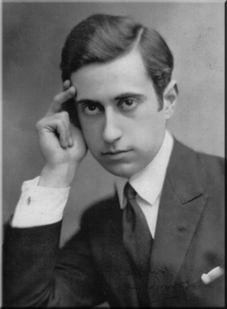 This brilliant pianist composed, at a very young age, many musical poems: " Songs and Piano " (1915 - 1920). He dedicated himself to the religious music since 1920: hymns, Psalms, Liturgical Years of Organ. In 1926, he created a popular culture and open-air theatre called Théâtre du Bourdon. After the " Divertissement Sacré " and "Parentage", he created the mystic drama " Colombe la Petite " (1930), presented again in 1934. Having laid the foundations for a theatre-school, he experienced family problems and died prematurely in 1938, at the age of 40. The CD includes an informative booklet (36 pages) written in French and in English. Works are describes by musicologist MARC VIGNAL. There are detailed information about the interpreters written by DENIS HAVARD DE LA MONTAGNE and ALEXIS GALPERINE.